Consider building an open-concept shower area that doesn't need a curtain or door and is less confining than a standard shower stall. In addition to well-designed drainage, a ceiling-mounted rain shower head and/or a high wall-mounted shower head that splashes less water will keep the area outside the shower drier. In homes with back-to-back bathrooms, a shared shower with access doors to each of the bathrooms maximizes limited space. 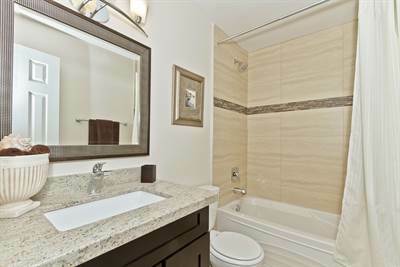 Or turn a closet located next to a bathroom into a small en-suite with access to the neighboring bath.